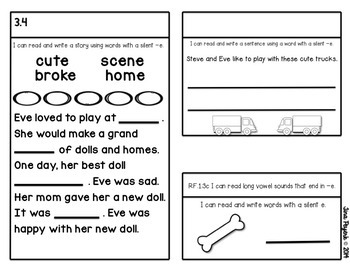 Are you looking for a way to include long /o/, long /u/, and long /e/ CVCe words, CVCe syllables and interactive notebook skills all in one spot? 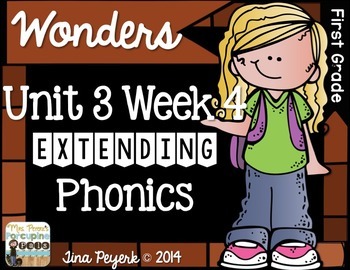 If you are using the McGraw-Hill Reading Wonders® program for FIRST grade, then you found it! 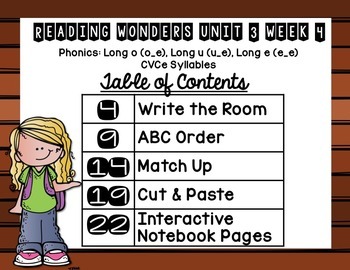 This packet is a supplement for McGraw-Hill Reading Wonders® Unit 3, Lesson 4 for first grade. 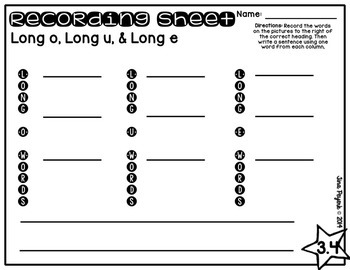 Included in this packet are 11 engaging activities: Write-the-Room for all three long vowel sounds and one recording sheet, ABC order sheets for each sound and a challenge sheet for the advanced students (ABC to the second and third letter), Match Up activities, Cut-and-Paste activities combining all three sounds into one sheet and interactive notebook pieces for each skill, including an ‘I-Can’ statement. If you have any questions, please don’t hesitate to contact me on the TpT forum or at my email tinapeyerk@gmail.com. You can also visit my new blog @ Porcupine Pals Blog.